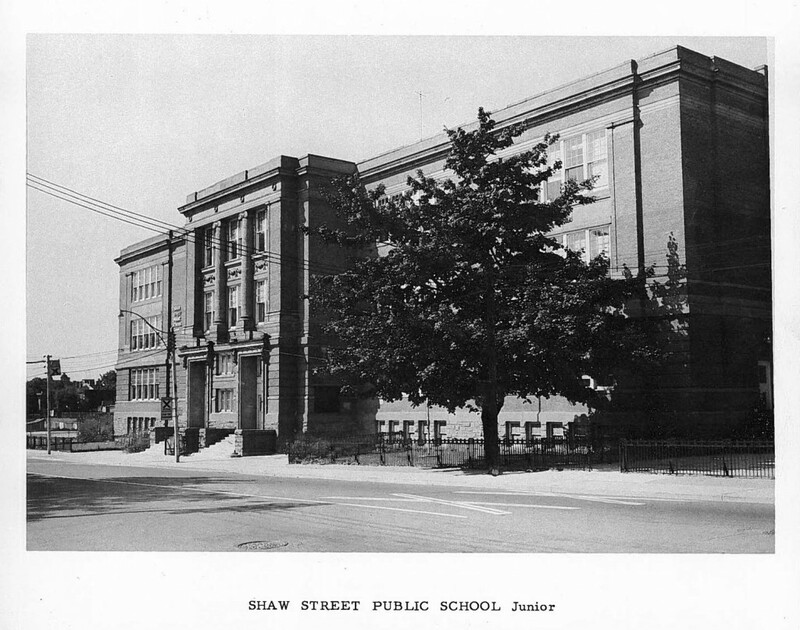 In this series of posts about the history of 180 Shaw Street and its site, we’ll be sharing the information contained in our permanent “history wall” located near the front entrance of Artscape Youngplace. There were several buildings occupying the site where the current Artscape Youngplace building now stands. The first was a one-room schoolhouse erected by the Toronto Public School Board in 1848. It was one of two local schools to mix boys and girls in the same classroom, and was constructed on the Givins estate. After the school board acquired additional land from this estate, it replaced the one-room schoolhouse with a two-roomed building that would better service the increasing population of the area. 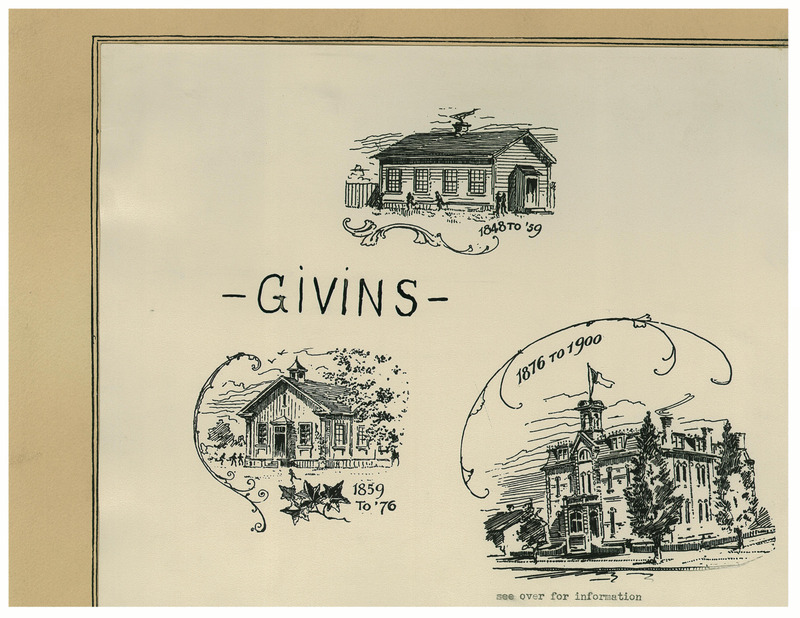 This new building was renamed the Givins School in 1860. 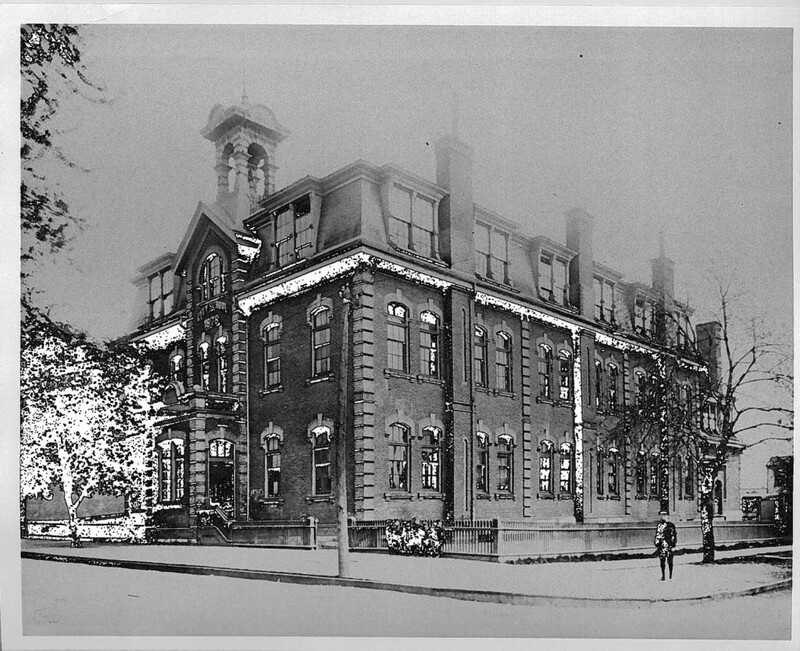 A third building was constructed on the site in 1876, including 21 classrooms (above). The building now at 180 Shaw Street (below) was erected in 1914 under the direction and supervision of C. H. Bishop, an architect and long-serving Superintendent of Buildings for the Toronto Board of Education.